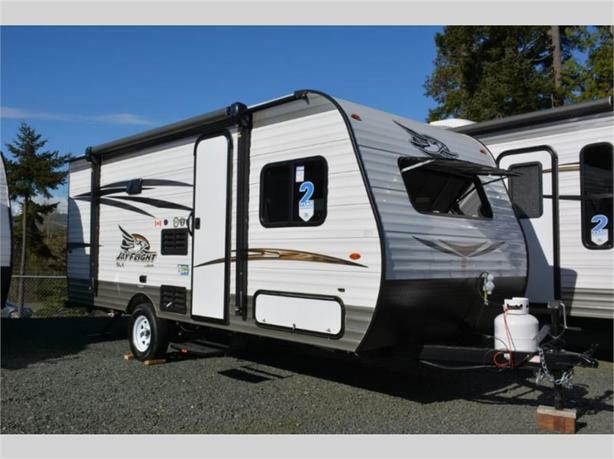 A set of bunk beds, a rear bath, and a front queen bed with a privacy curtain are a few key features inside this 174BH Jay Flight SLX Western Edition travel trailer. 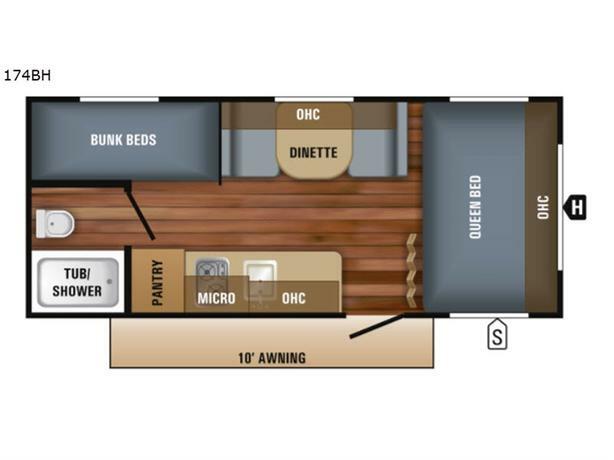 Step inside, to your right there is a queen bed that runs the width of the front wall of the trailer. 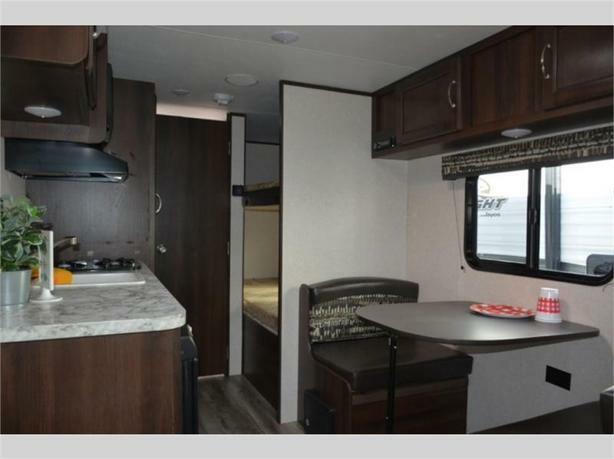 There are overhead cabinets and a privacy curtain as well. 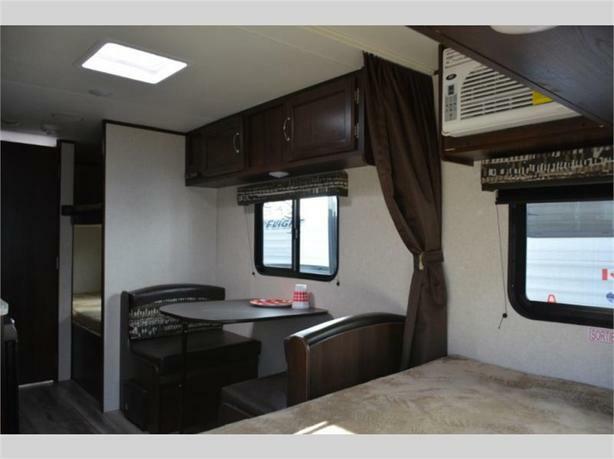 You can enjoy your meals at the booth dinette, and at night it easily converts into additional sleeping space. 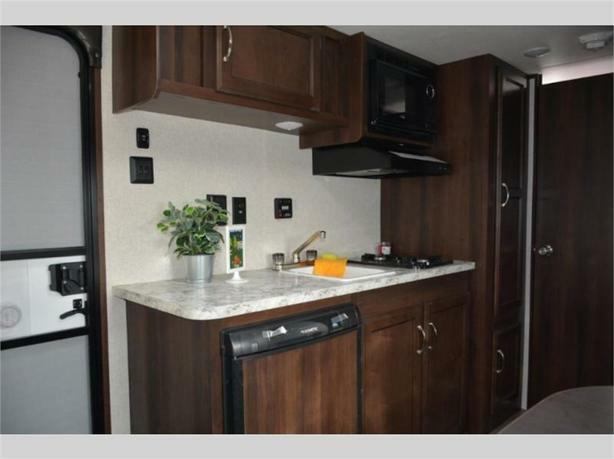 Along the opposite side there is a large pantry, two burner range, microwave, single galley sink, and a refrigerator below the counter. There are bunk beds in the rear right corner of the trailer for the kids. 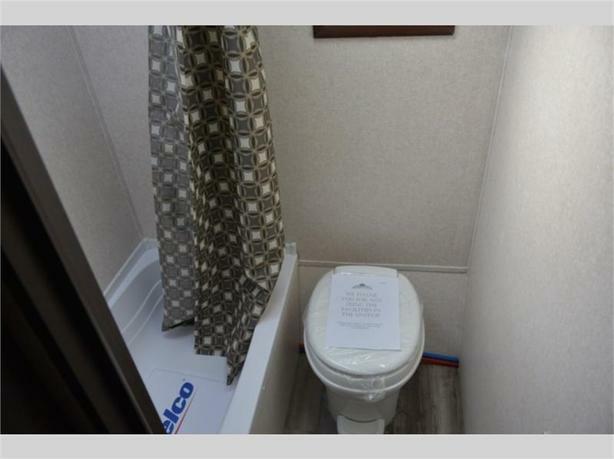 In the rear left corner you will find the bathroom with a toilet and tub/shower. 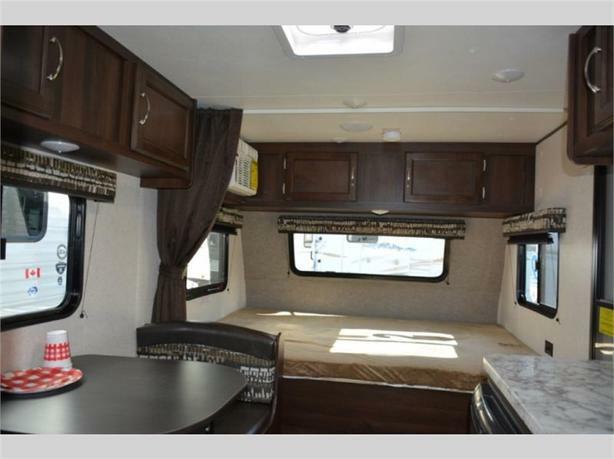 You will also appreciate the overhead cabinets throughout, and exterior storage as well as the awning!